Tottenham striker Harry Kane has shocked everyone by making a miraculous early comeback from an ankle injury. The hitman starts for Spurs vs Burnley this afternoon. According to The Sun, the 25-year-old wasn’t expected to be back until mid-March, the England captain suffered his injury during Tottenham’s 1-0 defeat to Manchester United on January 13. Kane missed seven games for Mauricio Pochettino’s side, the boost of having Kane back could push Tottenham to put the pressure on Liverpool and Manchester City in the run-in to the end of the season. Of course missing the last six weeks through injury, Kane has slipped down into fourth in the Premier League’s top scorers charts. The England captain has netted 14 times in the league this season, he’s one goal behind north London rival Pierre-Emerick Aubameyang and three goals behind Liverpool superstar Mohamed Salah and Manchester City talisman Sergio Aguero. Kane has some catching up to do and he’ll be hoping that starts today. 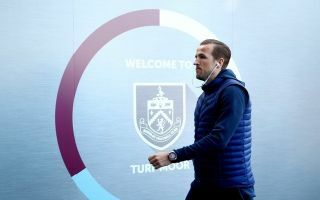 Tottenham will be hoping that they can dispatch of Burnley comfortably and that Kane can get some much-needed minutes under his belt. Kane will be the focus of attention once again when Spurs travel to Stamford Bridge to take on Chelsea on Wednesday night. Kane will be hoping to inspire Tottenham to a win. The return of the Hurrikane! @HKane #BURTOT #COYS !!!! The king is back ??? This guy is a machine ?? King Kane is back ????? ?